Eastman Chemical Company outlines how a blood bag clinical trial supports DEHP replacement with DEHT. Eastman Chemical Company has teamed with BloodCenter of Wisconsin (BCW) on a clinical trial evaluating a new plasticiser for blood bags. The aim of the trial was to evaluate the stability of red blood cells in di-2-ethylhexyl terephthalate (DEHT) plasticised containers compared with standard di-2-ethylhexyl phthalate (DEHP) plasticised containers. The trial expanded upon the use of DEHT as an alternative to DEHP for bags to store red blood cells in AS-1 and PAGGSM preservative solutions. This led to the conclusion that DEHT, a non-phthalate general-purpose plasticizer, is a viable alternative to DEHP. But why is an alternative needed at all? The trial was done proactively to preempt potential regulatory trends and consumer demands driving the industry toward non-phthalate alternatives to DEHP. Having been used to make PVC flexible for years, the inclusion of DEHP in blood bags has also been found to help minimise hemolysis, or the breakdown of red blood cells. However, the US. Food and Drug Administration (FDA) has stated that DEHP alternatives in medical devices for neonates and other at-risk populations should be considered, while France has introduced a ban on the use of DEHP in medical tubing for neonatal, paediatric, and maternity wards. In anticipation of the impact that these types of bans could have on the industry, Eastman was looking to expand its profile with a non-phthalate option that performed as well as DEHP for blood bag applications. 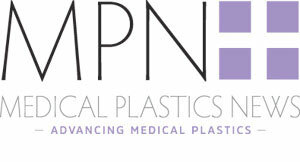 The clinical trial results demonstrate that Eastman 168 SG non-phthalate plasticiser, a sensitive-grade DEHT, is a viable alternative for medical applications. Eastman 168 non-phthalate plasticiser was introduced to the market in 1975, and then, in 2013, an enhanced grade of the plasticiser was introduced for highly sensitive applications: Eastman 168™ SG non-phthalate plasticiser. This alternative offers some of the same benefits of DEHP, including extension of storage, and helps meet both US and EU regulations while remaining cost-effective. The trial showed that hemolysis levels and red blood cell morphology remained the best with DEHP. However, all products tested well below the FDA requirement of 1.0% hemolysis and the EU requirement of 0.8% hemolysis at Day 42 of storage, showing similar performance. Although structurally and functionally similar to DEHP, DEHT is distinct from a metabolic and toxicological standpoint. DEHT is not a carcinogen, mutagen or reproductive toxicant, which makes the product ideal for medical applications. Specifically, the trial showed that after 189 days in storage, much longer than the 42-day standard, Eastman 168 SG non-phthalate plasticiser resulted in 72% lower plasticiser migration from the blood bags into the red blood cell solution than the DEHP bags. This means that the desired hemolysis results achieved with DEHP are similar with DEHT, but with lower migration of plasticiser into the red blood cell solution. The clinical trial findings were presented at the 2016 AABB Annual Meeting in Orlando, Florida, on Oct. 24, 2016, by Sharon Graminske, manager of applied research laboratory at BCW. Titled “In Vitro Evaluation of DEHT Plasticised PVC Blood Bags for Red Blood Cell Storage in AS-1 and PAGGSM Preservative Solutions,” Graminske’s presentation highlighted the trend driving the need for DEHP alternatives as well as the preliminary results supporting DEHP replacement with DEHT. Next up, the trial work is being completed on plasma to validate performance.